The records consists of 11 brandnew Piazza Dropout tunes. Expect an ultra-fast '80s inspired HC-Punk Attack! Great! For Teenage Angst from Hannover this is the debut-record! 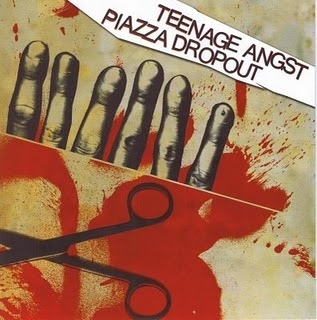 Teenage Angst combine snotty 80's HC with some newer influences like some Youth Crew elements. The record comes with a full-color-cover with nice artwork.